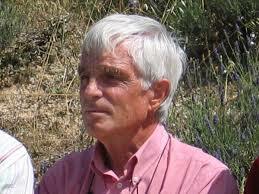 Bernard Amy, born in Beirut (Lebanon) in 1940, is a French climber, a writer and a researcher. His studies led him from Aix-en-Provence to California, where he picked-up the concept of “wilderness” in John Muir’s and the Sierra Club lines of thoughts. As good on ice as on rock climbing, he began his mountaineering career in the Alps, then Bernard Amy quickly showed a taste for remote mountains expeditions. An engineer and cognitive scientist, Bernard Amy is also a writer and a journalist of mountain literature. He is co-founder of the french magazines « Passage » and « Altitudes » and was member of the publishing team of the french Alpine Club journal “Montagne et Alpinisme”. 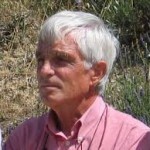 Bernard Amy is a signatory of the Biella thesis (or charter), and one of the founders of Mountain Wilderness France, where he became President following Haroun Tazieff and Patrick Gabarrou. At the moment he is extremely involved in the Observatory of Mountain and Mountaineering Practices (OMMP) a french think tank focusing on the evolving mountaineering practices and their impacts, leveraging the experience of recognized practitioners. In 1968, Bernard Amy participated in the expedition of the Marseille climbers to the Fitz Roy eastern pillar in Patagonia before going to the Moroccan Atlas. In 1969, he organized an expedition to explore the Kurdistan mountains and the Cilo DAG4 range. Then he went to America, first to Peru and then to North America where, with Patrick Cordier and Joel Coqueugniot he accomplished the second ascent of the Tower of the Lotus Flower in the Logan Mountains. Also with Patrick Cordier he participated in the first ascent of the Rooster Comb in the McKinley range. His travels led him also to the Himalayas where he participated in an expedition to Gurja Himal (Dhaulagiri range), then he went back to Peru in 1973 where he attempted to climb the Eastern edge of Huantsan1. He also explored the Hoggar before leading an expedition in 1974 in the Hindu Kush in Pakistan. In 1975, he made several ascents in the Tasermiut fjord region in Greenland. With Haroun Tazieff and his vulcanologist team Bernard Amy had the opportunity to participate in a dozen of scientific missions on various volcanoes around the world. In France, Bernard Amy opened a lot of climbing routes, especially on the Vercors cliffs, in the Belledonne range, in Oisans and on the Sainte Victoire Mount, many of them in the spirit of the Biella thesis, that is without providing a description and even not talking about them, leaving others to their own discovery pleasure. One Response to "Bernard Amy"
This definition comes from the Biella thesis (1987), a foundation manifesto written at the origin of Mountain Wilderness which still drives the actions of the association. Mountain Wilderness is active in nearly 20 countries. A JEWEL OF NATURE ENDANGERED!